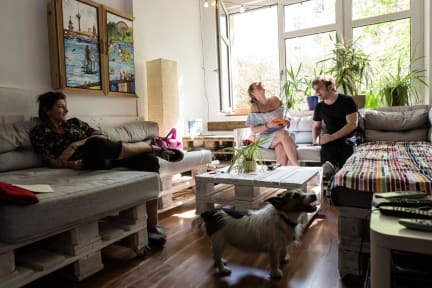 U inn Berlin Hostel i Berlin, Tyskland : Boka nu! Really nice place close to nice areas in Friedrichshain and Kreuzberg. Nice beds and clean room. Nice showers and kitchen as well. Would recommend! I had a pleasant stay, but unfortunately the location is bad. You have to take tram/buss/metro everywhere. The staff are friendly, good kitchen where you could hang out and socialize in the evenings. Would be great if it was more in central Berlin.